UNITED NATIONS, Nov 29 2013 (IPS) - The Arab world is widely perceived as blessed with an embarrassment of riches: an abundance of oil (Saudi Arabia), one of the world’s highest per capita incomes (Qatar), and home to the world’s tallest luxury building (United Arab Emirates). But it lacks one of the most finite resources necessary for human survival: water. Scientists are now warning of "Peak Salt" - the point at which the Gulf becomes so salty that relying on it for fresh water stops being economically feasible. “The average Arab citizen has eight times less access to renewable water than the average global citizen, and more than two thirds of surface water resources originate from outside the region,” says the U.N.Development Programme (UNDP) in a new study released this week. Titled “Water Governance in the Arab Region: Managing Scarcity and Securing the Future,” the report warns that water scarcity in the region is fast reaching “alarming levels, with dire consequences to human development”. The region accounts for five percent of the world’s more than seven billion people, and 10 percent of its area, but accounts for less than one percent of global water resources. Its share of annual renewable water resources is also less than one percent, and it receives only 2.1 percent of average annual global precipitation. Over 87 percent of the region’s terrain is desert and 14 of the world’s 20 most water-stressed countries are in this region, the study notes. Desertification is a sweeping problem in countries such as Syria, Jordan, Iraq and Iran. The greatest culprits, she pointed out, are unsustainable agricultural practices that guzzle the last of the area’s groundwater. “Dams and diversions for heavy irrigation are destroying water sources at an alarming rate,” she warned. A recent satellite study by the U.S. National Aeronautics and Space Administration (NASA) found the region has lost, since 2003 alone, far more groundwater than previously thought – an amount the size of the Dead Sea, said Barlow. Threatened by future scarcities, several Arab countries, including the UAE, have expanded their use of non-conventional water resources including desalination; treated wastewater; rainwater harvesting; cloud seeding; and irrigation drainage water. Currently, the Arab region leads the world in desalination, with more than half of global capacity. Desalinated water is expected to expand from 1.8 percent of the region’s water supply to an estimated 8.5 percent by 2025. Most of the increase is expected to concentrate in high-income, energy-exporting countries, particularly the Gulf countries, because desalination is energy- and capital-intensive, according to the UNDP study. U.N. Secretary-General Ban Ki-moon has warned that water shortages cause social hardships and impede development. The UNDP study notes that major challenges for the water sector in the region include fragmented institutions with unclear and overlapping responsibilities; inadequate capacities; insufficient funding; centralized decision-making; lack of compliance with regulations and ineffective enforcement; and limited public awareness. And it deserves increased political attention and commitment even amid the challenging political environment of the region today, Bahous said. Barlow told IPS the Arab region’s oil wealth has allowed some states to mask their water poverty, giving them the false impression they can buy their way of out of the coming crisis. “Wealthy Arab states of the Persian Gulf such as the UAE, with the highest per capita water footprint in the world, are over-extracting the waters of the Gulf with massive desalination projects, using their scarce water supplies to build cities and irrigate deserts,” Barlow said. 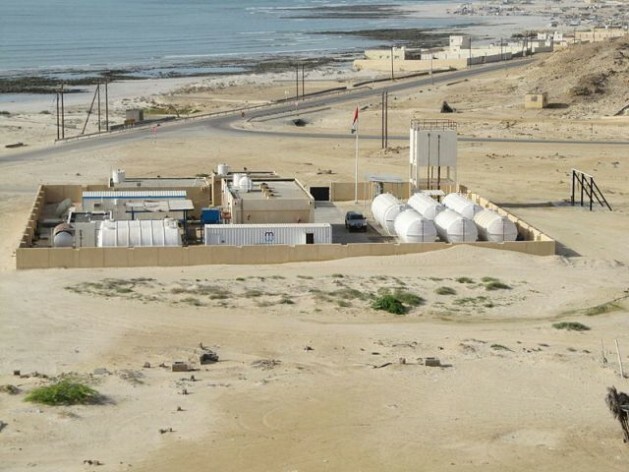 She also noted that 70 percent of the world’s desalination plants are in this area, and scientists are now warning of “Peak Salt” – the point at which the Gulf becomes so salty that relying on it for fresh water stops being economically feasible. Moreover, she pointed out, most of the area’s wastewater – including that of the wealthy countries – is not properly treated and in some cases, not treated at all. She said promoting privatisation of water services as being more efficient is not only wrong in and of itself – municipalities all over the world are reclaiming their water services after disastrous experiments with privatisation – but would place the decisions about access even more into the very hands of those who hold the power now and who have enough water for all the golf courses and mansions they can build. “Only a concerted effort to fiercely protect the region’s water as a public trust and human right together with strict laws to prevent over-extraction and pollution and outright water theft will avert the crisis coming to the Arab world,” Barlow said.